Here are two rules to running a great microbrewery: 1) Make it great to begin with, and 2) make it better. Front Range Brewing Company in Lafayette has followed these rules to a Tee. Front Range Brewing Company (FRBC) first opened its doors two years ago, in the Coal Creak Village Shopping Center, on S. Boulder Road and Highway 287. 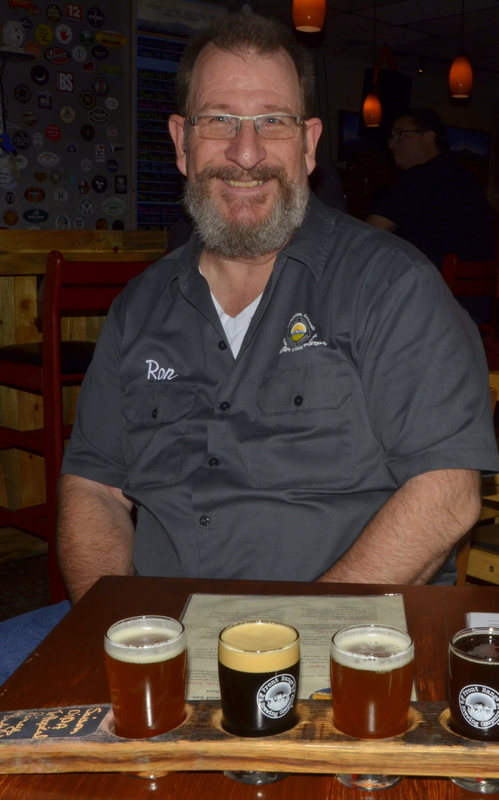 Started by two locals with a taste for good beer and a desire to make and sell their creations, FRBC has had much success over those two years. 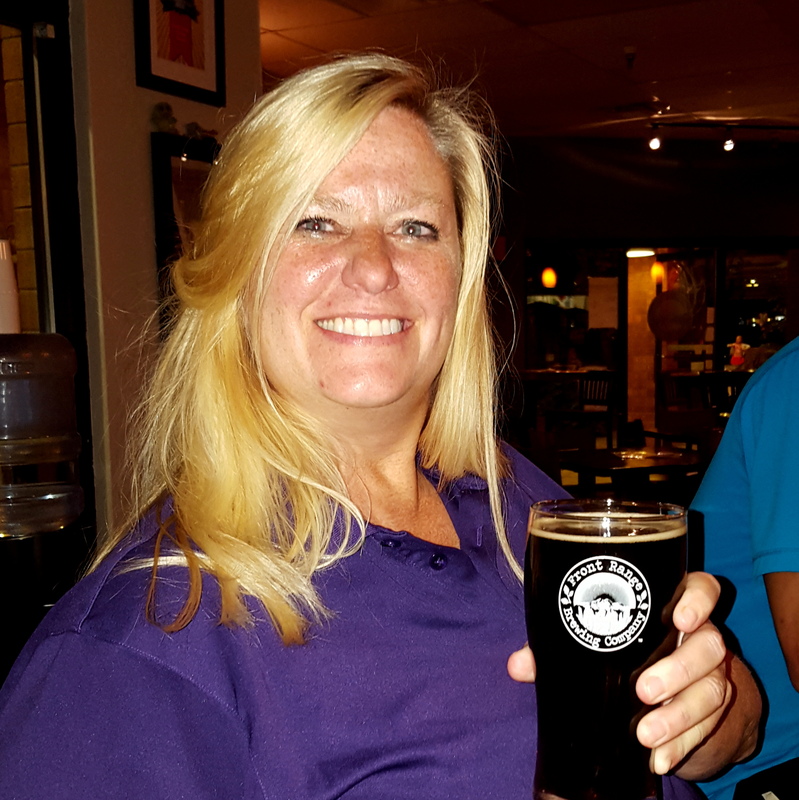 Last April, original owners Will and Mary Boggs were joined by new owners Ron and Barb Hoglund, and a talented staff including Head Brewer Mitchell Nichols and Kitchen Manager Jay Shelley. Over the last eight months, the brewery has made noticeable changes. New beer recipes (Ron has been home brewing for many years) add to a fine line-up of tasty beers. When I visited, there were ten beers on tap, including their Ma Belle Maison Saison, HogBack Double IPA, ALTitude Red Ale, and Blue River Baltic Porter. Barb served me tasters of several of their beers, and I found all to be very flavorful. I am not a hop head, and tend to stay away from IPAs, but their TrHOPical Illusion IPA was excellent – a good blend of malts and hops with a tinge of tropical fruit aroma. t beer I enjoyed was a pint of their Bison Peak Brown Ale, which I enjoyed with a delicious platter of TrHOPical Beer Brats. The beer is so good, the Whole Foods Market in Superior uses it as an ingredient in their bratwursts. FRBC has this on their menu, along with pizzas, sandwiches, salads, and wraps that they prepare on-site. The addition of the kitchen this past July, along with a menu from the Lunada Eatery and Cantina, which is across the vestibule, offers many great foods to accompany great beer. y. The Saison I tried is made with subtle amounts of anise, black pepper, orange peel, and ginger. They all work well together, and no one flavor overshadows the rest. All beers are brewed on-site, using a collection of new brewery equipment and repurposed farm equipment (R2BEER2 is a beer fermentation vessel). Several of their beers are distributed in bombers – 22 ounces of beer in a bottle – and can be found in 14 localities, including Total Beverage, Hazels, and Applejack Wine and Spirits. FRBC is currently bottling TrHOPical Illusion IPA, Hogback Double IPA, ALTitude Red Ale, Snowguard Belgian Dubbel, Piney Ridge Munich Dunkel, Chasm Lake Bourbon Barrel Aged Imperial Stout, and Sonnebahn Berliner Weiss. If you are going to FRBC to enjoy their beer, you might want to take part in one their many daily events. Monday nights offers Geeks Who Drink, a Pub Trivia Quiz similar to those found in Ireland and the UK. Tuesday night is Open Mic night. If you visit on a Wednesday night, you will be able to try a small-batch release. Thursday nights offer Bluegrass music. Fridays include the Friday Afternoon Club (FAC), which includes a happy hour, munchies, and music. Saturday nights always feature live music. It’s also good to know that FRBC is a kid-friendly brewery, and dogs are also allowed, although they must be on a leash in the vestibule or out on the back patio. No matter what day it is, the Front Range Brewing Company is a good place to meet friends, have great beer and food, and have fun. Previous Previous post: Denver International Wine Festival: A Must-Do!